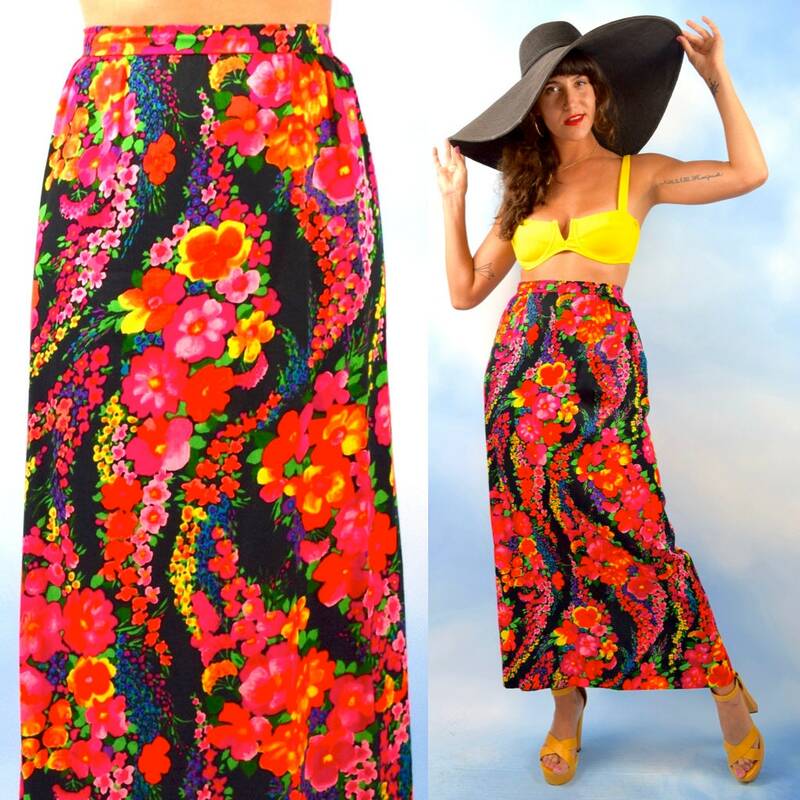 Vibrant floral print high-waisted maxi skirt. 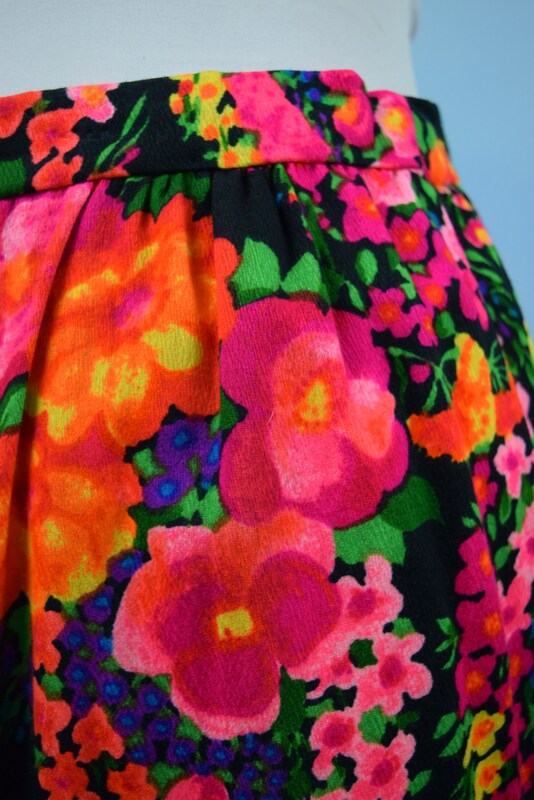 Invisible zipper up the back. Fastens with snap buttons.